This article might include mild spoilers about events on both versions of the film. That is part of the speech that Chris Hemsworth's character uses to inspire his friends and fellow fighters into fighting against the foreign invaders that are threatening to take away their freedom and more importantly, their lives. The invasion of their Communist (i.e. "Red") enemies occurs one morning, thus giving its name to the film. 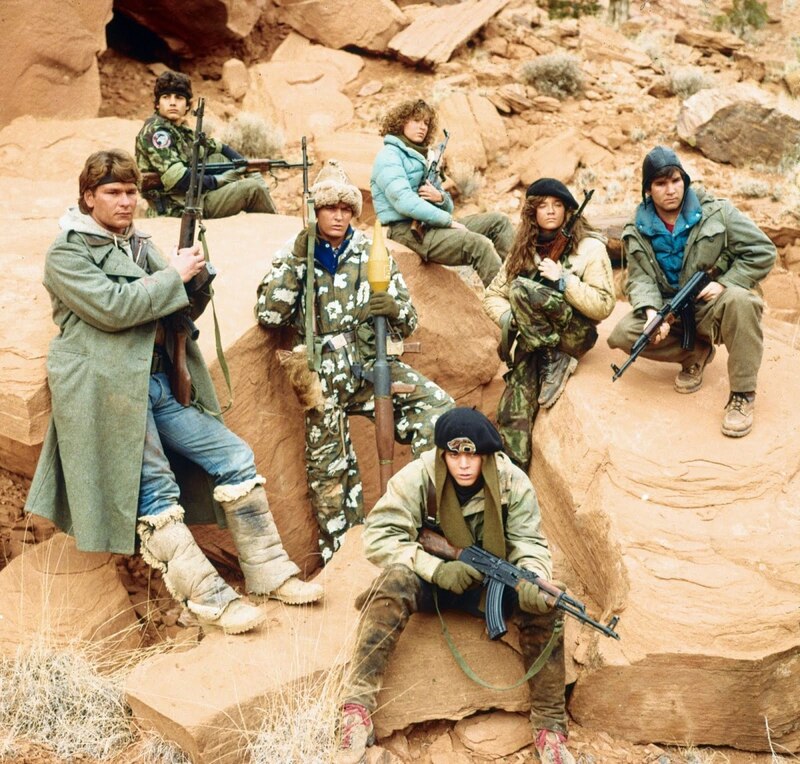 Inspired by the rampant paranoia of the Cold War in the 80s and threats from the Soviet Union, the first Red Dawn capitalized on America's fear of an imminent attack from their Soviet "enemies." As such, the film invariably served as propaganda portraying the Soviets as brutal and violent soldiers, hungry for war, while portraying our heroes as the inspiring "underdogs" that are fighting for their home, their family, and their freedom. 20+ years after the end of the Cold War, the recent remake is built on one of America's newest "enemies". Here's a look at both films. Released in 1984, the original film was set in the small town of Calumet, Colorado. 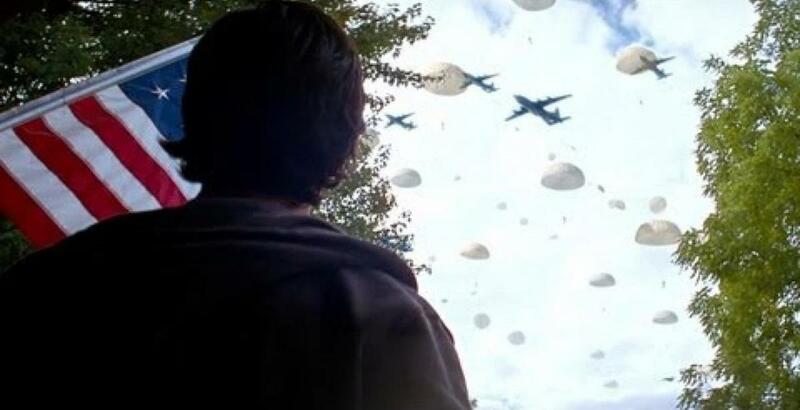 One morning, a squad of Russian paratroopers lands in the middle of a high school, as they begin to occupy and take control of the town under heavy fire. 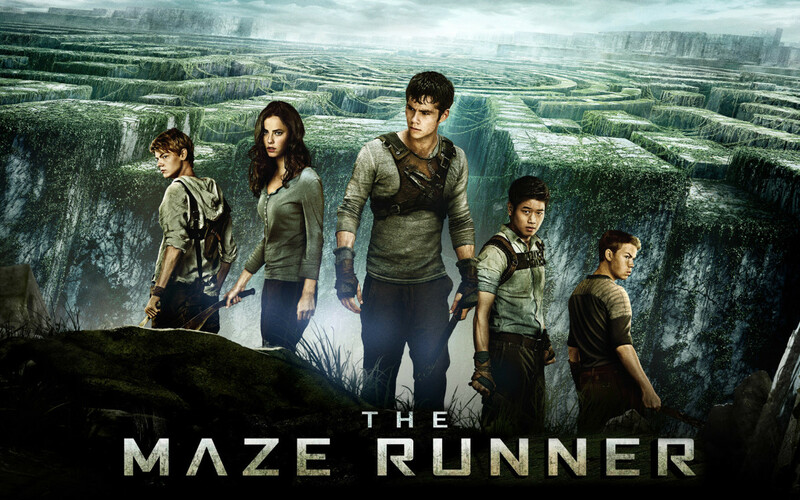 A small group of teenagers led by brothers Jed and Matt Eckert (Patrick Swayze and Charlie Sheen) manage to flee and seek refuge in the mountains. 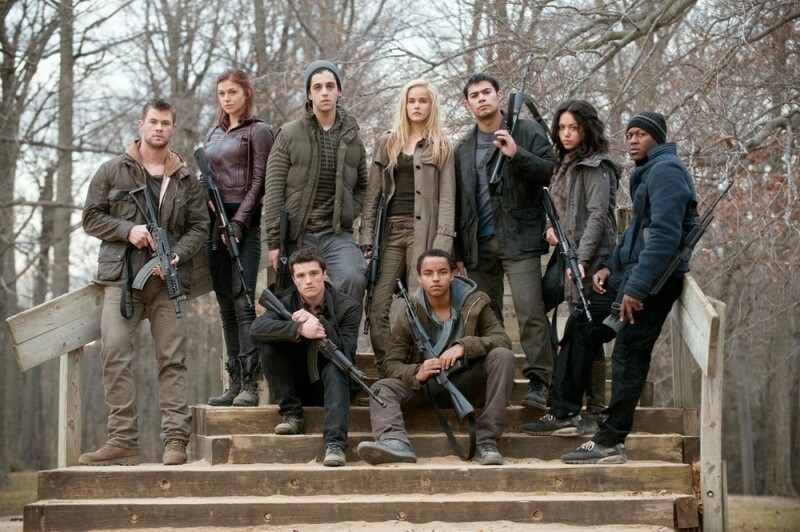 After several weeks hiding, and after the inevitable death of some of their relatives in town, the group of teenagers decide to return to fight the occupying forces. As they get more skilled and organized, they adopt the moniker of "Wolverines", after the town's high school mascot. However, with their increasing skills, the Soviet forces begin to take the small group more seriously, while hunting them more fiercely. Meanwhile, the "Wolverines" have to deal with growing tensions among them, as well as mistrust and the overall psychological exhaustion of their fight. Released in 2012, the remake follows the events of the original for the most part with Chris Hemsworth and Josh Peck taking the roles of brothers Jed and Matt Eckert. However, the film setting is shifted to Spokane, Washington, and more importantly, the main invader is changed to North Korea, instead of the Soviet Union.The original idea was to present China as the invading force, but the studio decided to change it to avoid alienating the millions of potential Chinese viewers. Other than the changes mentioned above, the film pretty much stays true to the original. It is only in the last act where it deviates completely as the "Wolverines" scramble to infiltrate the enemy's headquarters. Their goal is to steal a radio suitcase used by them to communicate privately in an attempt to hinder their communication network. 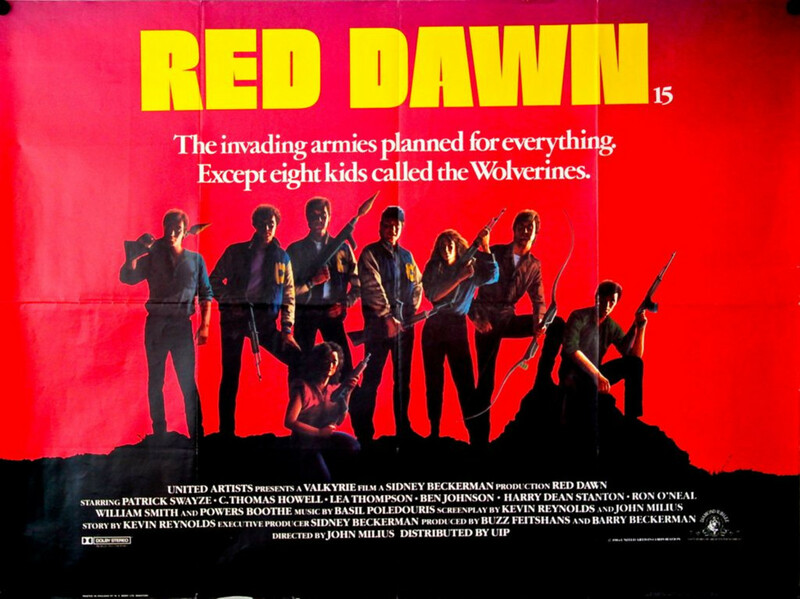 The original Red Dawn was released during the peak of the Cold War between the United States and the Soviet Union, and capitalized both in the fear of an attack and the rising anti-Communist and anti-Soviet propaganda from the US. 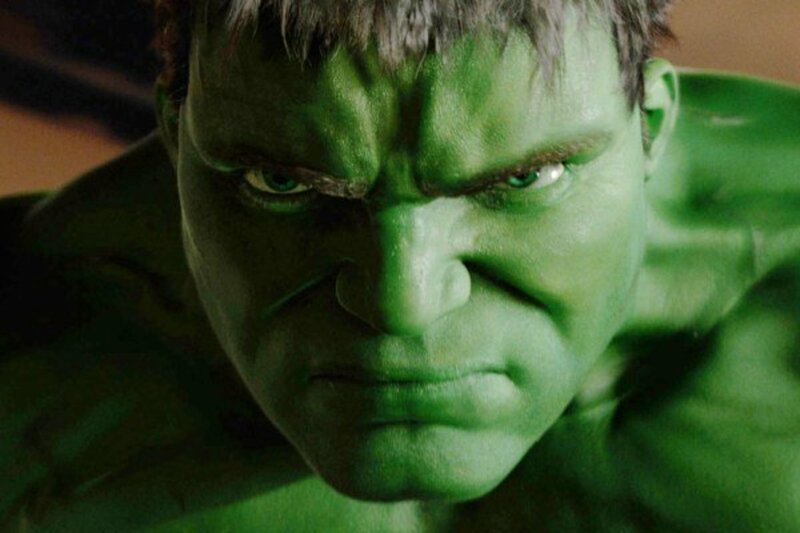 Perhaps because of this, the film became a moderate hit grossing almost 10 times its budget. However, for some reason I either didn't see it or didn't remember it at all. Last weekend, I caught it on TV, which then prompted me to give the remake a shot as well. The Cold War was a period of political and military tension between mainly the United States and the Soviet Union. Most experts point to the end of World War II as the start of the Cold War, which left both the US and the Soviets as the two standing superpowers. The Cold War ended in 1991 with the dissolution of the Soviet Union. 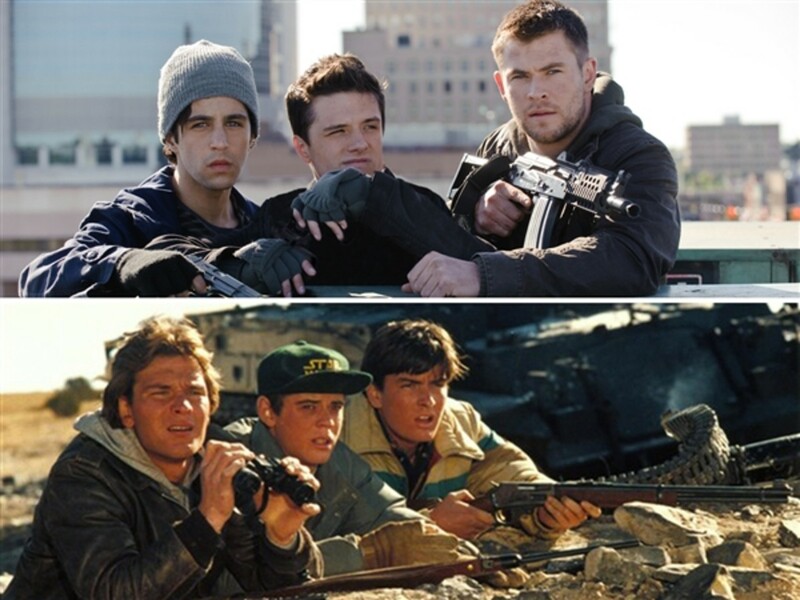 To watch a film like Red Dawn, one has to accept its reason to be, whether we agree or not, which is to highlight American "greatness" while, in a way, condemning the "horrors" of Communism (However, it really doesn't delve into the sociopolitical aspect of it all). This trend was certainly not an exclusive case. For decades, Hollywood relied on the Cold War subject both as a thematic element as well as for propaganda purposes. From Dr. Strangelove to Rocky IV, all approached the theme from different angles. 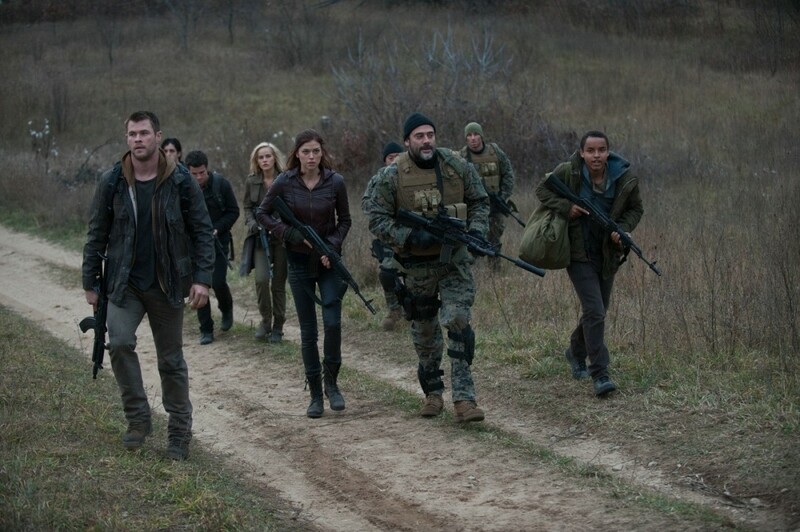 The original Red Dawn featured the Soviets as Nazi-like villains, executing civilians in cold blood, and appropriately assisted by Cuban and Nicaraguan forces. These three encapsulated what were the most common "headaches" of the US government at the time, much like a previous version of the "Axis of Evil" proclaimed by President George W. Bush in 2002, comprised of Iran, Iraq, and North Korea. 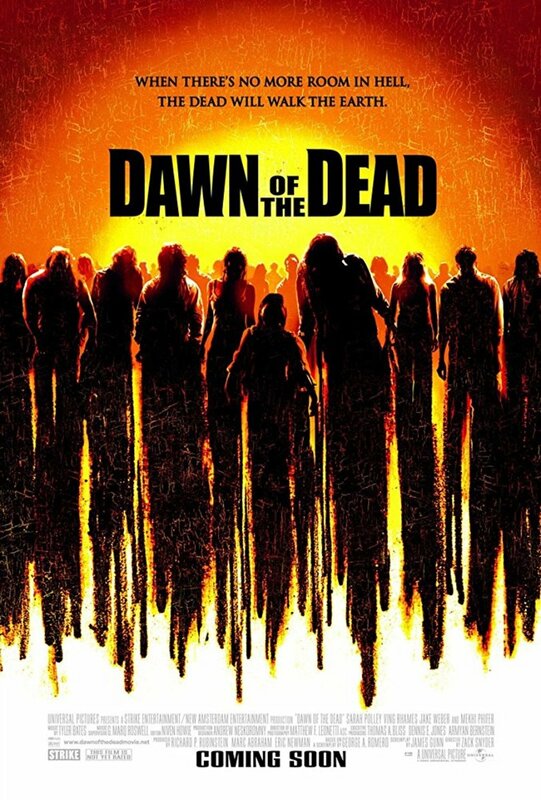 The remake was released in 2012 at a time when the geopolitical landscape had changed. The film conveniently shifts its villains to North Koreans to fit one of the current American "enemies". Ironically, the Koreans in the film are backed up by former Soviet forces. 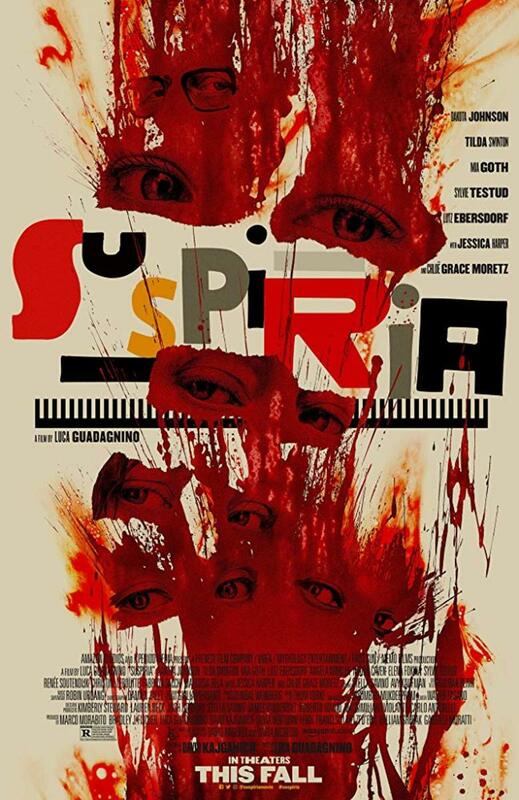 With its socio-political nature out of the way, I thought the original film was quite mediocre in most aspects. The acting and dialogue were sub-par, with only Patrick Swayze, and maybe Powers Boothe, being above average. Also, the execution of the script and flow of the film felt clumsy at first. The characters react in non-believable ways, and everything felt staged and acted. Not real. The remake, on the other hand, flows a bit better while also handling some of the dramatic moments more effectively. One notable example is the way both films handle the fate of the father of Jed and Matt (played by Harry Dean Stanton in the original, and Brett Cullen in the remake). The scene in the original is a ridiculous campfest that has been paroded in shows like The Simpsons and South Park ("AVENGE ME!! "), whereas in the remake it's a dramatic and relatively effective moment. The same can be said about the scene with Robert's first kill. Unfortunately, as the film reaches its final act, the tables turn a bit. While the remake decides to soften up its act, the original actually went to darker and bleaker places. In the original, it's evident how much the weight of battle gets to each teenager, most notably Robert whose change in personality and troubled state of mind is one of the highlights of the film. The remake throws maybe one hint in the first act, but does nothing with it afterwards. Also, the ending of the remake lacked a certain edge. Other than a surprise death, its ending is quite optimistic and upbeat. The original, on the other hand, ends on a more pessimistic and bleak note that I thought was more fitting for the subject. 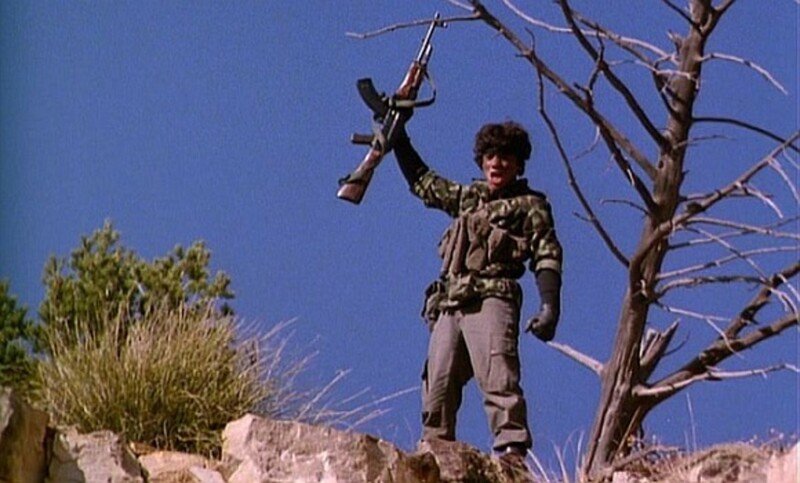 Just to be clear from the get-go, none of the Red Dawn films is a masterpiece. Both films are flawed, and both films falter at various points. The original was released at a moment where it might've made some sense to a lot of people, making it relevant then. But we're not in 1984 anymore, which lessens its effect to a certain degree. 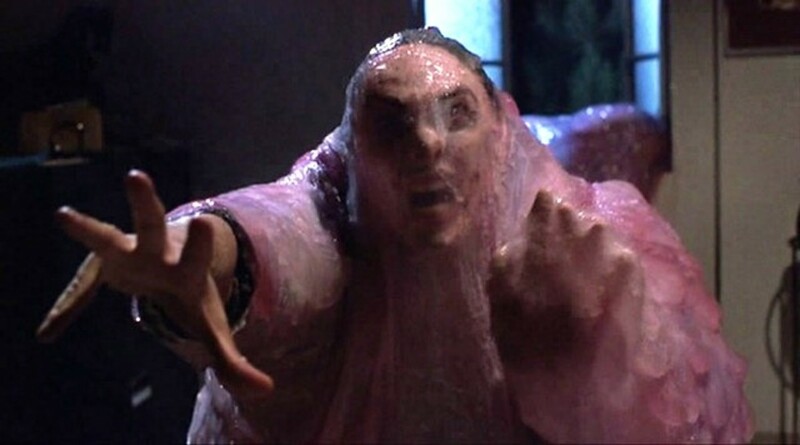 It doesn't help that the acting from most actors is pretty bad and the flow of the action is sloppy. The remake manages to handle most of those issues better. Not by a huge margin, but I still thought the acting and direction were better in the remake for the most part. Unfortunately, the script of the remake wusses out when it matters most making the ending feel sterile. Despite its flaws, the original was bold enough to take the story to darker places. This is not enough to make it a great film, but still enough to keep its head above water. The original also managed to add layers to one of the main antagonists, Col. Bella (played by Ron O'Neal), as opposed to the more uni-dimensional Cho (Will Yun Lee) on the remake. In the end, it all boils down to my overall enjoyment of each film. The truth is that I spent a lot of times rolling my eyes at the original. And as much as I liked the dark undertones that it had in its second half, I would've preferred if the writers or director had done more with it. As for the remake, I really felt that I enjoyed it more and found myself more immersed in it. Even though it stumbles a bit in the end, that occurs mostly in the last 30-20 minutes. I know that most people, namely those that are closer to me in age, would probably lean towards the original. But like the "Wolverines" on film, I really thought the "underdog" remake held the upper hand against its rival in the end. A meteorite from outer-space lands near a small town, releasing a mysterious jelly-like creature that devours everything in its path. A brilliant scientist experiment on teleportation goes horribly awry when he tests it on himself. 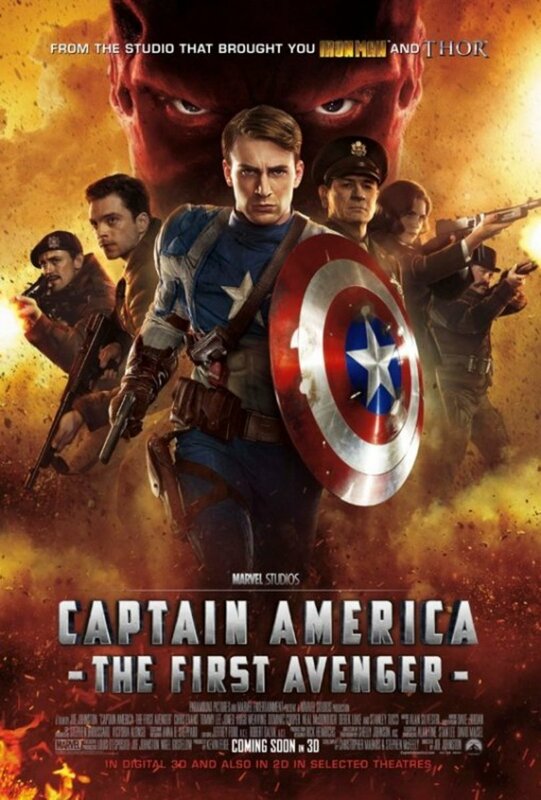 The original was good because it was so unexpected, US kids in the 1980's weren't meant to need fight and die to save their country, and its not a sugar coated movie at all. It might be a sad reference to USA in 2018 that this no longer shocks people. I have not seen the remake, but in a review of itI read one quit from it, “this is just like call of duty” which is such a dumb thing to say. I agree. Thanks for the comment, Robert! I did see the remake. I think the original set up the premise better. I agree with you about the respective endings. It is also a case of the time when the movies were made. On the surface things didn't seem to be going well for the U.S. in 1984. I think that the "farfetchedness" comes with the territory, and anyone coming in to these kind of films has to accept that. But yeah, the premise of a regular day turning into a war nightmare is pretty interesting. I'm optimistic. I hope to see the remake one day and then vote. Another aspect is the concept of leaving the house one morning thinking about what you will do that evening but when the evening rolls around you're country is at war and your area is under foreign occupation. It is a good premise but for the U.S. and many other countries getting a good scenario is difficult and the result likely to seem far fetched. Yeah, these are the kind of films that have to be seen within a certain historical context to understand the tone and goal. That still doesn't condone a lot of their faults, but it does help put them in a better perspective. Thanks for your comment! As for the poll, you could've voted "I've only seen one", hehehe. I didn't see all of the remake so I didn't vote. The criticisms of both movies are fair. In the defense of the original in 1984, given the scenario made in the opening titles, it made much more sense back then. I saw the original twice in the movies. The first time the audience was "hear a pin drop" silent. Someone else said the same thing about his experience watching the movie. The second time I saw it the audience applauded as the Reds were getting killed off. If you liked the remake, maybe it would be interesting to check the original. Thanks for the comment, Olivia! I definitely liked the 2012 remake, but I've never watched the original. I'm usually not into older movies. 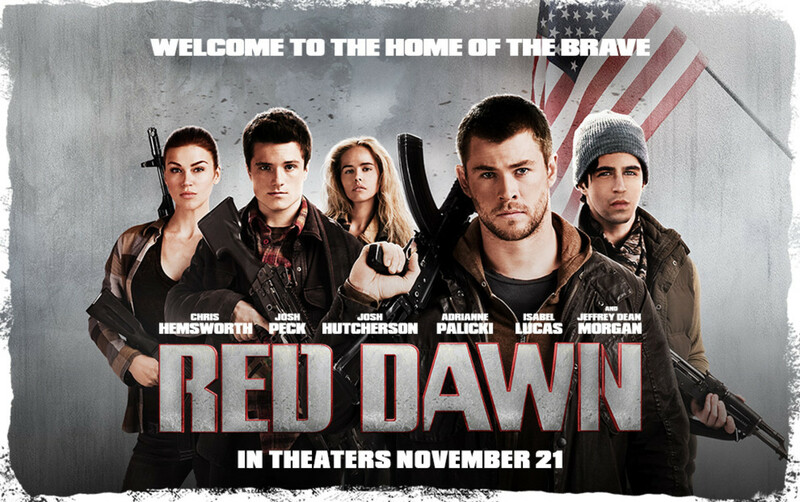 I actually did an evaluation paper for English talking about the remake of Red Dawn and how it attracts a younger audience. Nice post comparing the two!